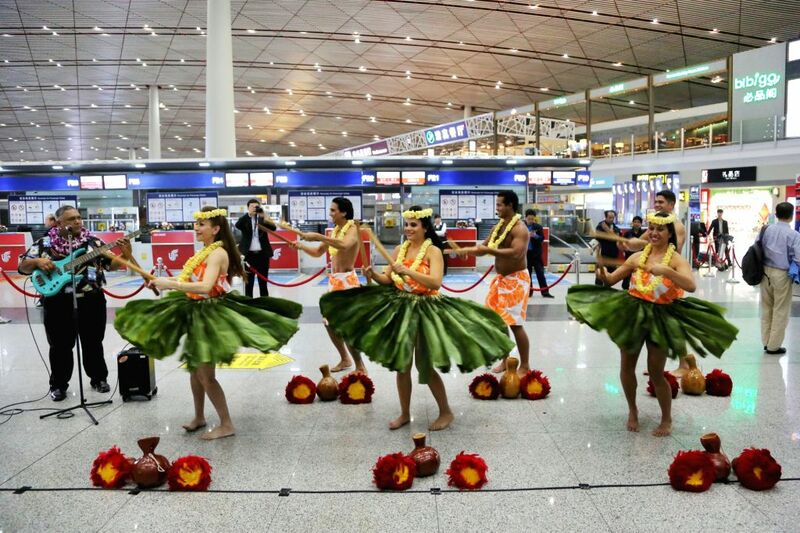 BEIJING, April 18, 2014 - Performers dance to celebrate the opening of Honolulu-Beijing direct flights by Hawaiian Airlines at the Beijing Capital International Airport in Beijing, capital of China, April 17, 2014. The two cities saw three new direct flights a week by Hawaiian Airlines, in addition to the air route launched by Air China earlier this year. 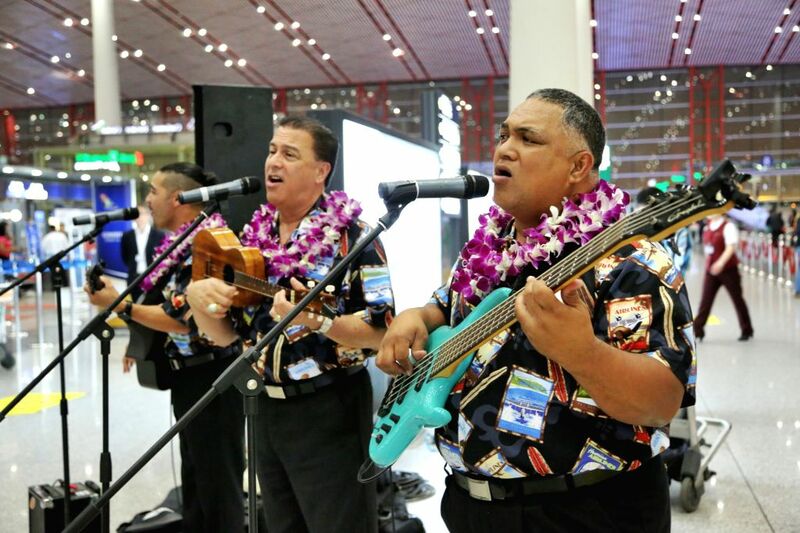 Performers sing to celebrate the opening of Honolulu-Beijing direct flights by Hawaiian Airlines at the Beijing Capital International Airport in Beijing, capital of China, April 17, 2014. 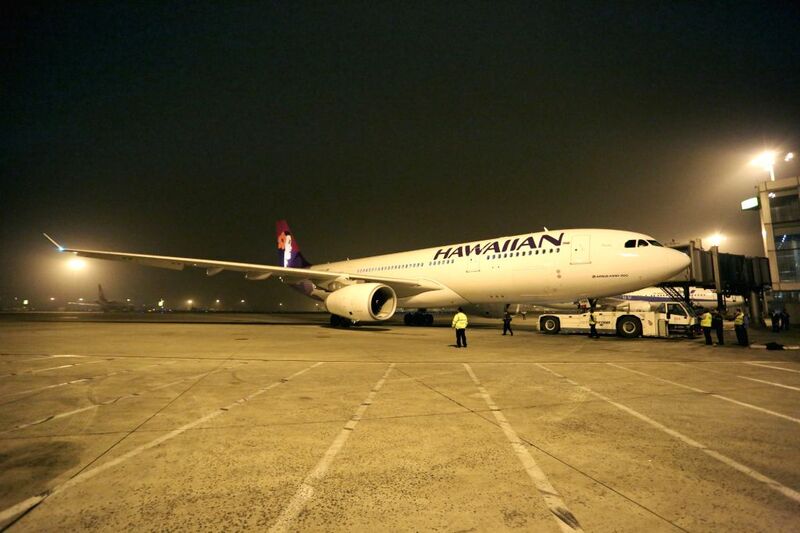 The first direct flight by Hawaiian Airlines between Honolulu and China's capital city of Beijing waits at the Beijing Capital International Airport, April 18, 2014. 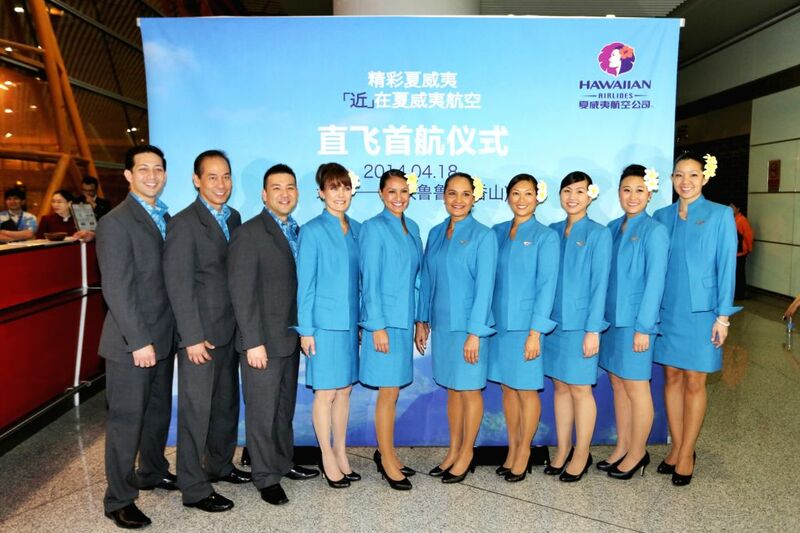 Working staff of Hawaiian Airlines pose for photos at a ceremony celebrating the opening of Honolulu-Beijing direct flights by Hawaiian Airlines at the Beijing Capital International Airport in Beijing, capital of China, April 17, 2014.